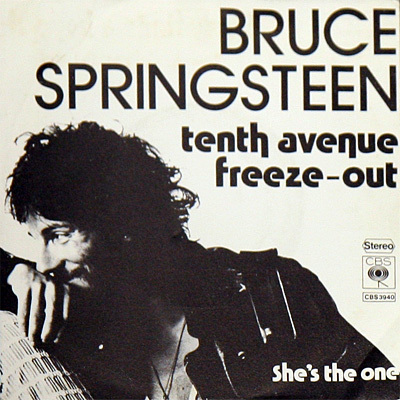 Tenth Avenue Freeze-Out/She's the One. PS with a close-up from the BTR cover on textured, pebbled paper. PS has very small tear just right of center. vg/vg+.